So basically I am just ranking for you here over 50 Hallmark Christmas movies in these Categories (I’m including previous posted ones to make this an all inclusive list) 🙂 . To clarify, yes I have seen all these movies, no judgement here For this list I am going to also be referring to EW’s amazing 29 signs that you are watching a Hallmark Christmas movie and their 19 additionals, plus my new ones (bad weather, inns in the middle of nowhere and it being a copy of a previous big budget film) to for the movies that I can remember (i have to say i did not watch all 59 this year this has been a work in progress) i will say how many of the 50 categories they fall into (im joining bad weather with travel troubles). Official description: Santa (Robert Wagner) and Mrs. Claus’s (Jill St. John) magical home, Northpole, has grown into a huge city powered by the magic of holiday happiness around the world. Yet the city is in trouble, as people everywhere are too busy to enjoy festive time together. One of these stressed-out souls is Chelsea (Tiffani Thiessen), a single mom who is trying to get noticed at her new reporting job while helping her ten-year-old son Kevin (Max Charles) adjust to a new school. When he starts talking about real elves and actual sleigh rides, she worries that his imagination has gotten out of control. With a little added help from Kevin’s charming teacher Ryan (Josh Hopkins), a mysterious elf, Clementine (Bailee Madison), and a gospel singer named Josephine (Candice Glover), Chelsea may learn that even chasing down the facts can lead to holiday magic. Official Description: No one celebrates the holidays like Emily Merkle (Doris Roberts) – or Mrs. Miracle as she is known by some – who is back to ensure that this Christmas is the most magical and meaningful of all. When Mrs. Miracle appears as a seasonal employee in the toy department at the financially troubled Finley’s Department Store, neither the store’s owners, nor the customers, have any idea of the events that are about to unfold. Just when it seemed Christmas might not come at all this year, Finley’s favorite employee proves they don’t call her Mrs. Miracle for nothing! Also starring Jewel Staite, Eric Johnson and Lauren Holly. Official Description: Feeling in over his head when it comes to being a single dad to twin six-year-olds, Seth Webster is in desperate need of a nanny. And it may not be just coincidence when, just as the perfect housekeeper shows up, other important things begin to fall into place as well. Mrs. Merkle, or ‘Mrs. Miracle,’ as the twins dub her, always seems to know the right thing to do, which is just what this family needs. Stars James Van Der Beek, Erin Karpluk, and Doris Roberts. Official Description: With the holiday season at hand, single mom Nicky Talbot is unemployed and struggling to afford a nice Christmas with her 8-year-old daughter. Hearing that Cartwright’s Department Store is hiring temporary holiday help, Nicky rushes in to apply, but is rejected by Senior VP Fiona Aldrich, who considers Nicky a threat to the relationship she hopes to have with Bill, a charming and handsome store manager. In a whimsical turn of events, Harry Osbourne, claiming to be a consultant from corporate headquarters, encourages Nicky to dress up and begin working as Cartwright’s store Santa Claus. With the magical help of Harry, Nicky keeps the job, but nobody knows Cartwright’s Santa Claus is a woman. Will she be able to keep her job if her secret gets out? Official Description: Shop owner Alice Chapman (Alicia Witt) is nervous to meet her future in-laws at Christmas, especially because she is arriving ahead of her new fiancé, Will Mitchum (Scott Gibson). Alice’s trip becomes more stressful when her luggage is lost and her phone is damaged, leaving her no way to find Will’s family! As fate would have it, she meets her future brother-in-law, Matt Mitchum (Mark Wiebe), at baggage claim and is happy to get a ride home with him. As Alice meets Matt’s doting family, mom Penny (Susan Hogan), dad Joe (Richard Fitzpatrick) and Grandpa Charles (Lawrence Dane), she falls in love with their festive holiday traditions and warm welcome to their home. And when unexpected romance comes calling as Christmas approaches, Alice must decide if her “Merry Mix-Up” will actually turn out to be her destiny. Official description: As a little girl, Melanie Hogan (Lacey Chabert) wished to find her own prince charming just like her parents found true love. Now an adult, Melanie is running her own bakery and dating a handsome CEO, Justin (Thad Luckinbill). Although things seem perfect when Justin asks Melanie to spend the holidays together at his beautiful lake house upstate—and meet his mother. Melanie finds herself spending more time with Justin’s best friend and loyal assistant, Dean (Adam Mayfield), who just might be harboring a secret crush on her. When complications arise that throw Melanie and Dean together over the holiday, will the two realize they’re meant to be? Official description: When Falcon Resorts acquires family-owned Snow Valley Lodge from retiring owners Karla (Gabrielle Rose) and Paul (Dan Willmott), driven executive Stephanie Beck (Candace Cameron Bure) must spend the week before Christmas in Maine preparing a proposal on the property’s renovations. Determined to impress Falcon’s president, her detached father Ted (Alan Thicke), Stephanie reluctantly departs her warm Arizona home to immerse herself in the lodge’s property and decide how to change it to fit the hip, young Falcon brand. While preparing to rebuild the Snow Valley Lodge from the ground up, Stephanie butts heads with her property guide, Brady Lewis (Jesse Hutch), Karla and Paul’s son, who has decided to leave his family’s business over creative differences with his dad. A self-defined Grinch, Stephanie begins her stay at Snow Valley Lodge immune to Christmas sentiment. But as the lodge’s festive traditions provide the Christmas Stephanie never had growing up with her distant father, Stephanie finds herself enjoying every minute. To complicate her professional duties even further, the combative feelings she felt toward Brady turn into romantic ones. With Stephanie’s newfound Christmas spirit and unexpected holiday romance, she begins to question Falcon’s overhaul. As her Christmas Eve deadline approaches, she’s faced with a decision: should she transform the lodge into a new winter hot spot or embrace tradition and let it snow? Official Description: Hilary hires David to come home for the holidays and pretend to be her fiancé, but she soon realizes she is in over her head and has to end the charade. Stars Haylie Duff, Jordan Bridges, Shelley Long and Bonnie Somerville. Official Description: When commitment-phobe Rob Marino (Joey Lawrence) breaks up with his girlfriend before Thanksgiving, he is criticized by his big Italian family about his inability to keep a relationship through the holidays. Wanting to prove them wrong and fulfill his dying grandmother’s (Paula Shaw) wish to see him happy in love, Rob goes online and finds Julie (Emily Hampshire), another single New Yorker who’s meddling Jewish mom (Marilu Henner), has driven her to seek a temporary boyfriend. Rob and Julie agree to pose as a couple through the holidays to get their families off their backs. But things get complicated when Rob’s Catholic clan and Julie’s Jewish family get involved. With Christmas coming and Hanukkah around the corner, they double their efforts to keep the charade going, only to discover their fake feelings may be a little too real. 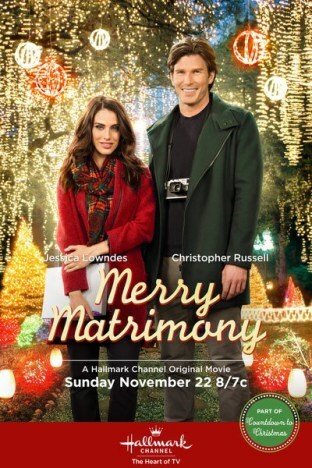 Official description: “A Christmas Melody” revolves around Kristin (Lacey Chabert), a beautiful, stylish divorcee who is a talented clothing designer and her young daughter. Kristin has just had to close her small Manhattan boutique to return to her Ohio home town and live in her parents’ former home. It’s an adjustment for Kristin and Emily – especially when she runs into her former high school rival Melissa (Mariah Carey). Melissa is president of the PTA and tries to make Kristen feel as unwelcome as possible. Kristen and Emily struggle to find their new normal with the help of the music teacher Danny (Brennan Elliott) and Kristin’s Aunt Sarah (Kathy Najimy), the local coffee shop owner. With a little holiday magic and music, Kristin and Emily find that home is where the heart is. Official Description: Brie, an advertising executive, lands her dream assignment organizing the perfect Christmas wedding for a fashion magazine. If she succeeds, she will make partner at her firm. The only catch is that she unknowingly has been paired up with a certain high powered fashion photographer who just happens to be her estranged ex-boyfriend. Stars Jessica Lowndes and Christopher Russell. Official Description: When Anna, an unemployed painter, is unable to make ends meet, she is hired to become a personal Christmas shopper for Marc, an uptight corporate exec. As they work together, Marc learns that Christmas giving has less to do with the amount of money spent and more to do with the importance of the gift, while Anna discovers she might find success as an artist in a way she never expected. Stars Katrina Law, Aaron O’Connell and Donna Mills. Official description: Single mother Ryan (Tricia Helfer) has just about given up on dating after her divorce, happily accepting her young son as the most important man in her life. That all changes when Ryan’s brother Owen (JT Hodges), also feeling unlucky in love after a bad breakup, swaps his home in their small North Carolina town with New York City adman Sean (Mark Lutz). Ryan feels an instant spark with her new neighbor, but Sean, who signed up for the temporary home swap after a proposal gone wrong, is out of his comfort zone in his new rural surroundings. On the other end of the housing exchange, aspiring musician Owen is charmed when he meets Sean’s sassy assistant, Mia (Cristina Rosato), in New York City. As Owen acclimates to his swanky New York City digs with Mia’s help, he begins to realize Mia might be just the right girl for him. With Christmas approaching and the home swap nearing an end, the future for both of these new relationships is up in the air. Can these temporary holiday arrangements lead to long lasting love? Official Description: When an actual, honest-to-goodness royal princess runs off from her official obligations and duties for a couple of days to see how the other half lives, she winds up falling for a good Samaritan who is unaware of her real identity. And it happens right around Christmas. Will the guy still feel the same way once he learns the truth? And if this works out, won’t that make him a prince? We’re guessing yes. Official Description: When Mackenzie Reed inherits her beloved aunt’s once-majestic hotel, she decides the sensible thing to do is sell it before Christmas. But fixing up the rundown place while managing the hotel staff (including the handyman and his kids) and dealing with demanding guests is more challenging than she had anticipated. That’s when the magic of Christmas intervenes. Mackenzie gets some unexpected help as Clementine and a group of Elves arrive on a special mission from Santa to repair the hotel and at the same time help her to rediscover some hidden talents along with the true meaning of Christmas. Official Description: Carrie Bishop (Lindy Booth) lives for her successful career as an event planner in New York City, but her life changes in an instant after a nasty car accident in a snowstorm. Carrie suffers head trauma and regains consciousness in Central Park with an older man, Henry (Derek McGrath), a spirit guide who’s there to help her “pass over” to Heaven. But before Carrie can move on, she must fulfill one last task: help a widowed restaurant owner, Scott Walker, (Paul McGillion) who has recently considered suicide because his beloved restaurant/catering business is failing. Carrie befriends Scott and his 8-year-old daughter and immediately displays a knack for promoting the restaurant. But time isn’t on Carrie’s side on this mission. She has until midnight Christmas Eve to turn the eatery around. As their friendship grows, romance blooms, and Carrie finds it a struggle to keep business and pleasure separate. Will Carrie earn her wings in time and save the day? Official description: Kyle Lockwood (Casper Van Dien) and Jenna Ford (Rachel Wilson), two lawyers at a prestigious law firm, could not be more different. Kyle, a designer-clad conservative and Jenna, his global warming concerned liberal counterpart are constantly butting heads. When Jenna and Kyle’s siblings Trisha (Natalie Lisinska) and Jim (Noah Cappe) fall in love, it binds the two together by default. When Jenna and Kyle visit their siblings for Christmas, Jenna’s sister goes into labor. In the midst of Christmas Eve chaos, romantic sparks fly, and they need a Christmas miracle to help their families to a new start. Official description: Professor Evan Farnsworth (Jason Gedrick) is a widower who works tirelessly at a prestigious boarding school in Maine, dedicating all his time to helping his students believe in themselves. Accepting a job to teach the students left behind during Christmas vacation, including talented scholarship student Juliet (Emmalyn Estrada), nerdy outcast Albert (Amitai Marmorstein) and privileged bad boy Drew (Richard Harmon), Farnsworth quickly faces a challenge when Drew gets into trouble. Upset his wealthy parents ditched him for a Paris skiing vacation, he takes his anger out on the neighboring town’s ancient Wishing Tree, a bare tree decorated with handwritten notes containing the townspeople’s greatest holiday wishes. A much loved tradition, it doubles as a fundraiser for needy families, depending on donations from eager wish-makers. Drew’s troublemaking eventually threatens Farnsworth’s job, but with the help of the town and the special Wishing Tree, Farnsworth discovers that anything is possible. Official Description: Emily (Faith Ford) misses her daughter Heather (Emma Lahana), who is attending college in Boston. Since her father died, Heather is sensitive to her mom’s dependence on long-standing holiday traditions. This Christmas, Heather has planned a trip to Phoenix with her boyfriend, but tells her mother she is staying on campus to study. After Emily arranges a house-swap with Charles (Tom Cavanagh), an English professor from Boston who wants Washington State’s solitude in order to finish his novel, Emily hops on a flight to Boston to surprise Heather for Christmas. Unaware of the house swap, Emily’s best friend, Faith (Gabrielle Miller) walks in on Charles at Emily’s house and in Boston, Ray, Charles’ brother (Gil Bellows) responds to a 911 call only to find Emily at Charles’ condo. Will Christmas travel calamities lead to cross-country romances? Or have there been one too many surprises already? Official description: Although she loves Christmas, Santa’s elf Christine (Summer Glau) wonders if there could be to life than making toys in the North Pole. When Santa receives an emergency wish from a little boy in Los Angeles, he puts Christine on a special assignment, sending her to L.A. to give the VanCamp family—mom Sara (Eva La Rue), dad Scott (Dan Gauthier), and their two kids Ally (Izabela Vidovic) and Will (Mason Cook)—a holiday wake-up call. Will Christine fail her assignment and be sent back to the North Pole for good, or will the VanCamps come to their senses about the meaning of Christmas? Official description: Mia (Haylie Duff), the loyal and hard-working manager of her small town’s Christmas hat shop, is blindsided when her boss of over 10 years asks her to train his son, Nick (Antonio Cupo), for a vacant upper-management position that Mia had been coveting. Although Nick is a handsome, successful New York City business consultant, Mia finds training him frustrating until Nick takes an interest in Mia’s son Scotty (Sean Michael Kyer), helping Scotty with a pumpkin carving contest. However, Mia’s faith in Nick quickly diminishes when Nick fails to show up at the contest. To protect her son from further disappointment, Mia tries to keep Nick out of her and Scotty’s fragile life and Nick must decide if staying in the small town of Wilsonville is worth giving up the big-city perks he once had in New York. As Mia struggles to find a way to convince Scotty to return to physical therapy so he can walk again, she soon realizes that Nick may be the Christmas miracle she has been waiting for. Does he stay or does he return to the Big Apple? Official Description: As the only daughter of an expert tailor in Philadelphia, Emily Corrigan is a kindhearted young woman proud of her blue-collar background. She is a devoted seamstress at the family business and madly in love with her doting European boyfriend, Leo. But as their first Christmas together approaches, Leo drops a bombshell on his nsuspecting girlfriend: he is actually Prince Leopold, heir to the throne of Cordinia, a small sovereign country. Less than enthusiastic about her son’s relationship with a commoner, the prince’s mother Queen Isadora makes Emily feel anything but welcome at their grand castle, leaving Emily to feel more at home among Isadora’s staff of butlers and housemaids. As Emily struggles to adapt to her new royal surroundings, the situation is made more difficult when a scheming Isadora invites Duchess Natasha, Leo’s ex-girlfriend, to join them for Christmas. Attempting to stay true to herself in a world where she clearly doesn’t belong, Emily wonders if love is enough to keep her newly royal relationship from falling apart before Christmas morning. 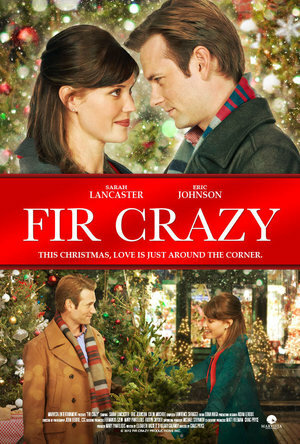 Official Description: Sometimes, life just seems to hand you exactly what you need – particularly at Christmastime. In this new yuletide tale, Riley is scraping bottom when she miraculously lands a job with a wealthy New York City entrepreneur. He’s a bad-boy socialite type who is poised to play Scrooge by closing one of his factories just before Christmas, which would devastate and entire town. It’s left to Riley to talk him out of it and turn him into a man of virtue rather than shame. But will a case of mistaken identity ruin the whole plan? Official Description: Dr. Lauren Brunell (Bure) has her whole life planned out. As a third year surgery resident, she is counting on being accepted into a prestigious hospital fellowship to follow in the footsteps of her supportive father, Henry (Pine). But when those plans quickly fall apart, and Lauren is put on the wait list, she must take the only other opening available: a head doctor position in the small, remote town of Garland, Alaska. Convincing herself it is only temporary, Lauren moves to Garland where she is immediately charmed by Andy (O’Donnell), a handsome local who soon starts to show her the importance of living in the moment and enjoying her unexpected adventure. As Lauren excels as Garland’s trusted doctor, she warms up to the friendly town. But Andy’s father, Frank (Doyle-Murray), is hiding something from her in his top-secret shipping warehouse. Just as Lauren decides to get to the bottom of her suspicions, she receives news that will force her to make a life-changing decision, while knowing for certain that the Christmas season will never be the same. Official Description: Beth Baker is an out-of-work actress stuck in New York City without her friends at Christmas time. She decides to return home to the quaint small town she escaped 10 years before and finds a place far different than the hamlet she left. She suddenly finds performing possibilities and even romance that kind of blow her away. Will the holidays prove to be as magical for Beth as they appear, or is it doomed to disappear as quickly as it arrived for a lady who is ready to take chances she could never have imagined a decade before. Then again, this is the kind of thing that seems to happen during the Christmas season all the time. Official Description: Fireman Zachary Stone (Routh) is a confirmed bachelor who doesn’t believe in love or commitment. When a stray tabby cat named Ambrose shows up at his door, Zachary takes him in and slowly starts to see that a little companionship might not be so bad after all. Zachary’s commitment to solitude is further challenged when he meets Marilee (Sustad), an animal lover and veterinary student who teaches Zachary how to care for his new feline roommate. Chemistry immediately develops between the two, but will they find a way together despite themselves? Official Description: When Jules Daly’s sister and brother-in-law are tragically killed in an accident, Jules Daly (Katie McGrath) becomes guardian to her young niece Maddie and nephew Milo. On top of balancing the daily hysteria of becoming an overnight parent, Jules was recently laid off at work, her car is on the fritz, and the kids’ shenanigans have caused a dozen nannies to flee. Official Description: Rebecca, Mrs. Claus (Tedde Moore) is worried that her exhausted, workaholic husband (Mairtin O’Carrigan) has lost his holiday spirit. She believes she can help him recapture his bliss and secretly heads to the one place she knows the spirit of Christmas must still exist: New York City, where she first fell in love with Nick. Official Description: With the holidays approaching, a young party planner arranges a special Christmas party for a New York toy store. When a powerful corporation threatens to shut her down, she decides to follow her heart, moving forward with the party plans and finding true love in time for Christmas. Stars Torrey DeVitto, Steve Lund and Linda Thorson. Official Description: Two New York City-bound travelers find themselves inextricably linked when a snowstorm reroutes them to an airport hotel in Buffalo. Ever the eternal optimist and hopeless romantic, Paige desperately needs to find a way back home to meet her fiancee’s parents before her forthcoming wedding. And it’s somehow up to fellow passenger Dylan MacKenzie, who is permanently soured on romance following a recent heartbreak. Yet Dylan somehow rises to the occasion to become Paige’s chivalrous helpmate. The pair are joined on this misadventure by an older couple named Frank and Maxine trying to get to Connecticut. As their madcap journey ensues, our foursome will find plenty of surprises in store. Official Description: The overwhelming tasks that go along with Christmas have taken the joy out of the holidays for busy single mom Jennifer Cullen. Then her Uncle Ralph arrives at her home with the young, handsome Morgan Derby. Morgan’s love of Christmas, and life, is contagious and as Jennifer glumly navigates through the holidays, she soon realizes that what she needs most is right under her nose. Stars Henry Winkler, Brooke Burns and Warren Christie. Official Description: Newly widowed Kathy (Kellie Martin) plans to skip out on decking the halls and trimming the tree this Christmas, trying to avoid anything that will bring back memories of her late husband. The only Christmas tradition she will observe is baking cookies for her friends, a passion since she was a child. 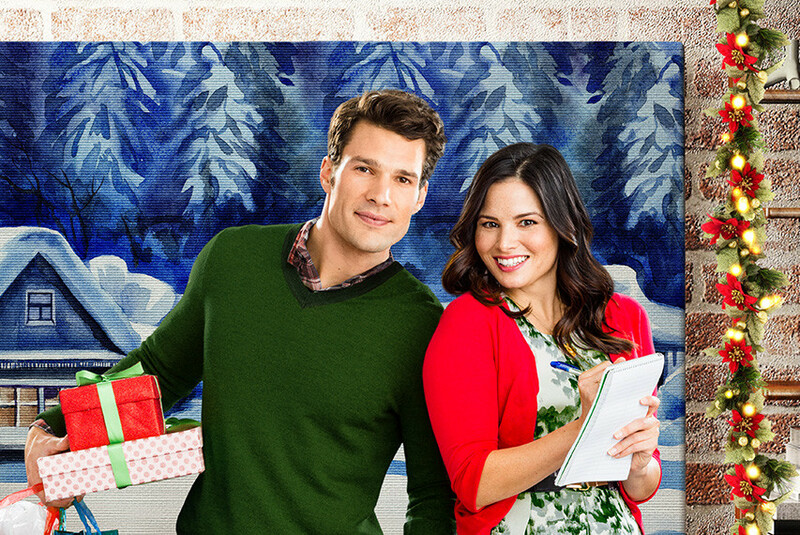 When Kathy meets handsome Christmas tree shop owner Tim (Cameron Mathison), their undeniable chemistry – along with an ornament Tim gives her that symbolizes hope – helps Kathy open up to the joys of the season again. With the support of her best friend Jenna (Jewel Staite), and the budding relationship with Tim, Kathy begins to embrace the hopeful message of the ornament.Although Kathy wants to take a chance on Tim, she struggles to find the balance between preserving the memory of her husband and moving on with her own future. Is the Christmas ornament a sign that she can have a hopeful future? Official Description: After getting fired from her job as a maid at a ritzy New York City hotel, Allie reluctantly accepts a temp gig as the governess to a young girl who is part of a powerful family in Europe that lives in an actual castle. After arriving, Allie learns the girl is named Princess Theodora and her father is Maximillian, the King of Winshire. The King informs Allie that the Princess has a tendency to terrorize authority figures, a predilection that has grown worse since her mother’s death. Yet governess and Princess wind up hitting it off while at the same time a spark forms between Allie and Max. However, Countess Celia is expecting to wed the King. 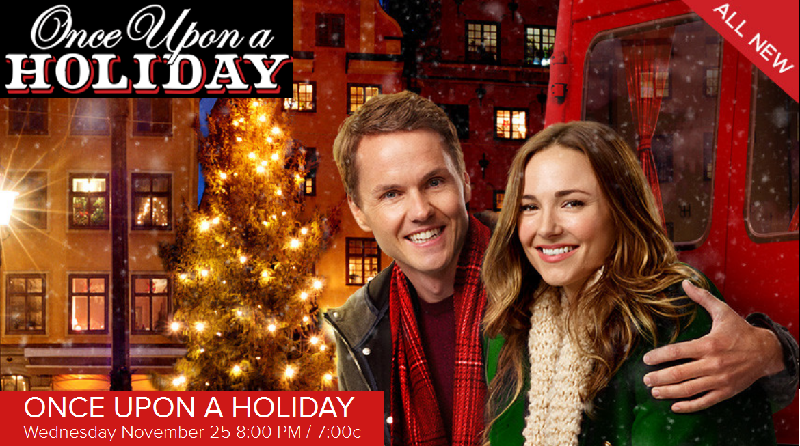 Will Max take a stand for his feelings for Allie and make it truly a merry Christmas for all (or at least, most)? Official Description: Busy career woman Elise MacReynolds (Sarah Lancaster) has no time or desire to take part in Christmas festivities. However, a few twists of fate land Elise in the middle of her worst nightmare: unemployed, newly single, and running her family’s Christmas tree lot for the dreaded holiday season. As the de facto representative of her family’s business, Elise must navigate a contentious relationship with the lot’s new landlord, Gary Dixon (Colin Mochrie), who thinks the MacReynolds’ lot is hurting his business and wants them gone…fast. But, things are looking a little brighter as the newly single Elise has a budding relationship with Darren (Eric Johnson), one of her customers. It doesn’t take long for Elise to begin to embrace the Christmas spirit. But when her landlord discovers a way to shut down the lot right before Christmas, Elise must use her newly found holiday spirit, her business savvy, and help from her new friends. Will she pull off a Christmas miracle? Official description: harmonious body. Particularly for the award-winning choral groups of the two former schools, old rivalries die hard. 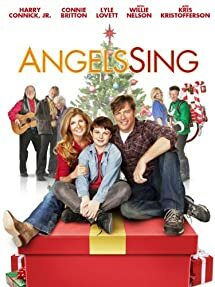 Music teachers Diana Deason (Natasha Henstridge) and Ken Stoddard (Gabe Hogan) are forced to compete for a single music department position by entering dueling musical acts in a televised Christmas song competition. The success of either group will determine the fate of the music department and will determine who will get the job as the school’s only music director. As the musical teams duke out their differences at the competition and in the school halls, sparks begin to fly between Diana and Ken–romantic and otherwise. Confused by these sentiments, Diana is forced to reevaluate her priorities and choose what is really worth fighting for. Official Description: Christie Reynolds (Krakow) and Penny Miller (Frigon) have been archrivals ever since a memorable fight over a coveted Christmas recital solo in elementary school. Now adults, they work side-by-side at the same school where they still constantly compete over everything. As the holiday season approaches, the entire school is getting into the spirit with the annual fundraising festival, which will feature an exciting new event—a teacher Christmas Cookie Bake-Off, judged by a tough five-star chef, Chef Krueger (Thicke). Penny and Christie immediately clash over the contest, both wanting to beat the other to win the grand prize, a free class trip. Christie, however, is hopeless in the kitchen, despite help from her mom, Bev (Laura Soltis, “Hiccups”). She doesn’t think she has a chance—until she meets James, a new student’s handsome and sweet single dad. In addition to running a charitable shelter, James is also an excellent cook. As both Christie and Penny vie for James’s attention in yet another aggressive battle, Christie starts to tutor his precious, kindhearted daughter Lily (Genae Charpentier, “Girl Vs. Monster”) and gets to know James outside of school. As their relationship starts to deepen, and James’ baking expertise guides Christie’s cookie creations, Christie’s competitive edge starts to soften. But at the final bake-off challenge, James is finally caught in the middle of Christie and Penny’s petty feud, and Christie comes to realize life’s most rewarding prizes don’t come with a trophy. Official Description: After starting her first job at a country club restaurant, Callie – an aspiring chef – reconnects with her childhood friend David, whose wealthy family is a member of the club. When David enters Callie into the club’s annual Christmas ice sculpting competition without her knowledge, she’s forced to go head-to-head with her boss, Chef Gloria. Even though ice sculpting is cold work, sparks are ignited between Callie and David as they prepare for the competition as a team. Callie’s passions for cooking and ice sculpting are met with romance and Christmas spirit as she works to create the perfect sculpture. Official Description: Holly Ceroni (Elizabeth Berkley) is a single mother who has been destitute when it comes to luck and love. She buys a lottery ticket, kissing it for good luck before she tosses it in the glove compartment of her car, hoping this Christmas things will get better. That night, Holly’s car is stolen, adding to her streak of misfortune. The next morning Holly discovers her lotto numbers are in fact the million dollar winner, but the ticket is in her missing car. Mike Ronowski (Jason Gray-Stanford) is one of the men behind Holly’s missing vehicle; he and his friend had inadvertently taken Holly’s car the night before. When Mike’s greedy friend finds the winning lottery ticket he suggests that Mike romance Holly in order to get a cut of the money to help save his family business. As Mike gets to know Holly, he unexpectedly falls in love with her and realizes there are more important things in life than money. Will Holly’s losing streak continue, or is fate finally on her side this Christmas? A Bride for Christmas It’s basically a bad copy of Runaway Bride. Not that its a bad movie, and its kind of cool to mix runaway bride with Christmas, but originality points it is definitely not winning. Official Description: After Jessie calls off her third engagement, she swears off serious relationships until she finds “the one.” That is, until charming but chronically single Aiden comes along. But unbeknownst to Jessie, Aiden has bet his friends that he can convince a woman to marry him by Christmas, which is only four week away. Stars Andrew W. Walker and Arielle Kebbel. Official Description: With a duty to deliver every last letter before Christmas, the beloved quartet of post office detectives—Oliver (Eric Mabius), Shane (Kristin Booth), Rita (Crystal Lowe) and Norman (Geoff Gustafson)—are working around the clock to redirect Santa’s mail just as Oliver runs into his former Sunday school teacher (Marion Ross). When they receive an emotional last-minute plea not meant for Saint Nick, but instead written to God, they must delay their own travel plans to make sure one little girl doesn’t lose her Christmas joy—something Oliver and Shane are also struggling to find as they each face painful holiday memories. With a little guidance from a mysterious post office volunteer, Jordan (Rob Estes), the Postables are more surprised than anyone to discover they’ve been a part of more than one miracle on this Christmas Eve. Official Description: A remake of the Dicken’s classic, “A Christmas Carol” featuring a very nasty pop singer who gets a reality check by three Christmas spirits. Stars Vanessa L. Williams, Kathy Griffin and John Taylor. Charming Christmas It goes into naughty territory because as much as I’m a fan of stereotypes given that i love Xmas movies, it pisses me off when they make it that a successful woman needs a man to let her see the right way — ughh. Official Description: Christmas is a magical time of year for Meredith, the heir to Rossman’s Department Store when she reluctantly agrees to play the role of Mrs. Claus in the store’s Santaville. When Nick, the new store Santa shows up, she experiences a little holiday magic of her own. Something about Nick inspires her to want to make Christmas wishes come true. Stars Julie Benz and David Sutcliffe. Official Description: Maggie Conway’s had it with big-city living, especially after her husband-to-be leaves her at the altar – literally! She moves to small-town Washington State, opens a toy store dedicated to expanding kids’ imaginations … and meets Mark Nagle, proprietor of the local coffee shop. Mark’s number one priority is his six-year-old niece, Holly, whose mother has passed away, leaving him caregiver-in-chief along with her two other uncles. Holly hasn’t spoken a word since her mother died, and the three men try relentlessly to get her to speak. Is there room in Maggie and Mark’s busy lives for romance? To be (in love) or not to be (in love) — that is the question! Official Description: Sally Brown, a children’s book author and illustrator lives in a small Massachusetts town where she and her late husband, an Army vet,settled with Buddy, a German Shepherd he found while serving overseas. She is devastated, though, when her beloved Buddy runs away during a thunderstorm and ends up in an animal shelter miles from home. Mark Green and his teenage daughter, Emma themselves struggling to put their lives back together after losing his wife and her mother three years ago, end up adopting the dog, who wins their hearts and heals their souls. But Sally’s journey to find Buddy eventually connects her to Mark and Emma, who must decide if they want to give up a pet who has helped make their lives whole again – and Sally has to decide if she wants to separate him from this loving pair. But wherever Buddy goes, love follows, helping to bring everyone the greatest Christmas present possible. Official Description: Holly’s world is turned upside down when she suddenly finds that she can no longer lie – thanks to her niece Anna’s wish to Santa Claus. As Holly’s career and love life go into disarray when her lies catch up with her, she must learn to judge between the truth and what is right. Stars Alicia Witt, George Stults and Dan Lauria. Official Description:It’s no holds barred when two Manhattan department store employees vie for the same job during the busy Christmas season. Sloan Van Doren (Chyler Leigh) is a driven young woman determined to become the next window dresser at McGuire’s department store and to uphold a 95-year-old artistic holiday tradition. Serious and professional, she’s the polar opposite of the happy-go-lucky Jake Dooley (Paul Campbell), who also wants the job. When Mr. Fitch (Matty Finochio), the head of advertising and promotion, gives them a challenge, the competition is on: each will create a series of seasonal storefront windows twice a week until Christmas. The creator of whichever window display gets the most attention from passersby will get the job. As they go through their paces, with Jake’s obvious talent grabbing the public’s attention, a silent but mutual attraction develops between the pair, hampered by the contest and the presence of Kenneth (Cameron Mathison), Sloan’s blueblood boyfriend, who can’t understand the importance Sloan is placing on this job. Supporting the efforts of the window dressers are McGuire’s veteran window washer Mac (Terence Kelly) and brassy bathroom attendant Rita (Naomi Judd) who have eyes for each other but haven’t done anything about it yet. Love is in the air at McGuire’s, but things aren’t exactly what they seem. Who will win in this love triangle? The Case for Xmas: reviewed before, Such a dumb movie that in the end you enjoy it. However I feel like they stole the story and sentiment from Miracle on 34th street and packaged it on a MUCH less succesful vehicle. Official Description: Michael Sherman (Dean Cain) is a lawyer and single father struggling to obtain more clients. Being a single working dad, Michael doesn’t have time to think about a relationship or work on the classic car he inherited from his parents, but his friend Lauren (Rachel Blanchard) is a mechanic who helps rebuild the family heirloom. Meanwhile, the majority of the population is losing faith in Santa Claus and the Christmas spirit. To make matters worse, Santa is served with a class action lawsuit for irreparable emotional distress by sporting-goods mogul Braxton Bennett who never received the holiday gifts he wanted as a child. Santa believes he has a strong case because Braxton was always on the naughty list and asked for gifts that were unattainable. Santa hires Michael Sherman to represent him. Once the trial of Kris Kringle vs. Braxton Bennett begins, will Michael be able to save his own career… and Christmas? Official description: Charlotte Hart (Nicollette Sheridan), a distinguished journalist, is spending time with her family over the holidays when a real estate developer approaches their small town with quite an offer. Skeptical and looking for the real scoop, Charlotte drives to see the real estate head honcho to question him. While she’s en route, she gets into a terrible car accident and wakes up in the hospital only to realize that her body is in a coma, but her spirit is very much awake. She meets another spirit, who just happens to be the greedy developer. It turns out that he was on the other end of the accident and he too is in a coma. With only a few days left before the town votes on the development, Charlotte must try to change the minds of the developer and the town, but that is no easy task when no one can see or hear her. Will her voice be heard? Official description: Holiday humbug Krissy Kringle receives a special delivery intended for Santa Claus, the Naughty or Nice book he left behind while visiting a child, and uses the power of the book to expose the naughty deeds of those around her, but soon finds that her newfound power isn’t always so nice. Stars Meredith Baxter, Michael Gross and Hilarie Burton. Official Description: Santa Claus is thinking about retiring but is concerned that he will not be able to turn the reigns over to his son Nick who has not yet settled down and found a wife. Stars Steve Guttenberg, Thomas Calabro, and Crystal Bernard. Official Description: Sequel to Single Santa Seeks Mrs. Claus – Nick Claus Jr and Beth are preparing for their Christmas Eve wedding. Beth must call on her socialite, Grinch of a mother to arrange the wedding, but can’t quite figure out how to tell her that her new son-in-law drives a sleigh with 8 flying reindeer. Stars Steve Guttenberg, Crystal Bernard and Dominic Scott Kay. Official Description: Having missed out on spending the holidays with her family the past few years, Holly can’t wait to go back to New York City this Christmas and introduce her “big shot” executive boyfriend. Plans change, however, when she meets a handsome Kentucky man on the ride home who makes her think twice about her future. Stars Sarah Sanguin Carter and Damon Runyan. Official Description: Imagine Santa’s (Judd Nelson) surprise when the Christmas Board of Directors issues an ultimatum to holiday’s top Elf: In 30 days or less, make Christmas less commercial and material, or lose it forever. The Board is so sure the turnaround is hopeless that they give Santa the task of changing the hearts of privileged kids so they, in turn, will reach out to help a less fortunate boy. Is Santa’s task a daunting one? No more so than making reindeer fly. If ever there was a force for joy, goodness and sharing, it is the mythical man in red. After all, it’s Christmas – believe with all your heart! Official Description: A holiday Grinch ever since her boyfriend dumped her on Christmas, newspaper staffer Susan gets her first big break to write her own headline story — but ironically, the story is a Christmas-themed account of her own family’s carved wooden Christmas Angel — an angel that supposedly has magical properties to bring true lovers together. Stars Jennifer Finnigan and Jonathan Scarfe and Holly Robinson Peete. Official Description: Jules has just inherited a quaint Christmas tree farm bequeathed her by her grandmother. This is good news, since she plans to sell it and use the profits to buy her dream home in the city. The farm needs a bit of sprucing up, but Jules is a natural fixer so she’ll have it cleaned up in no time to impress buyers and be out by Christmas. But the longer Jules stays on the farm and the more she learns how important Christmas Land has been to so many families, the more Jules starts to question her motives to sell. And when the perfect buyer turns out to have ulterior motives for the farm, Jules must do whatever it takes to save Christmas Land. Official description: Vera Parks (Melissa Gilbert), an overly intense and demanding Broadway director, gets fired from yet another job, leaving her no choice but to take a gig directing a small town Christmas pageant in upstate New York. Stunned at how basic the production is, Vera attempts to back out, but is convinced by some of the locals to give their town a chance.